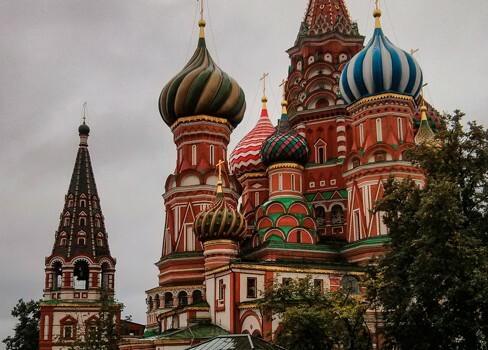 Been in Moscow for a few days. 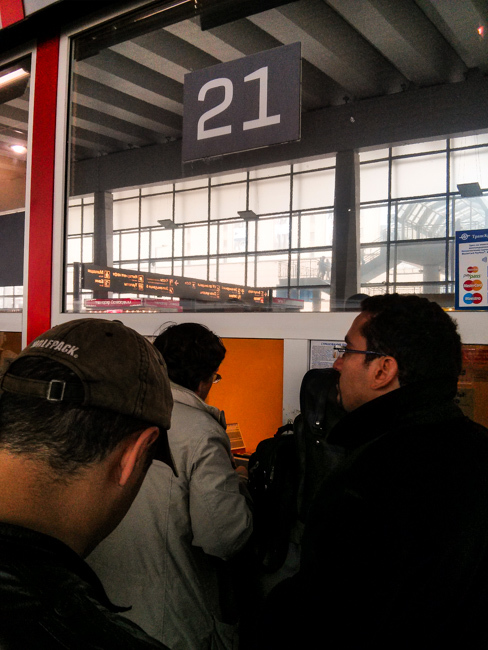 Came to Moscow train station prepared for the next part of the journey, to St. Petersburg. 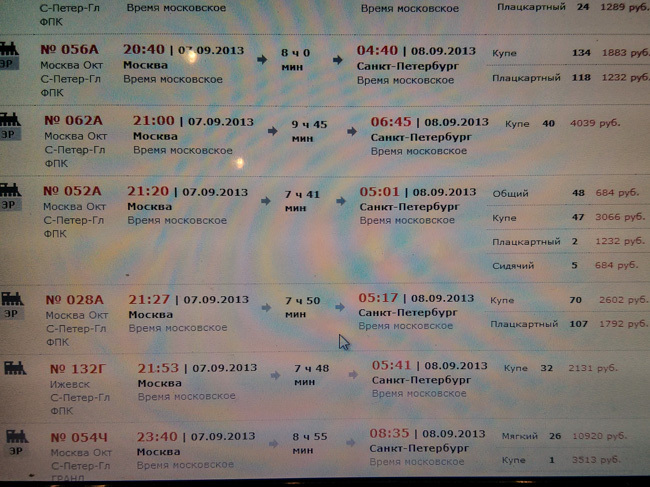 Done my research, figured out how to read Russian on the train station website. Names of the cities are similar, but just in Russian. I am so glad that math is universal. Figured out the depart time, the train number, the bed seats, and the price for the 2 ideal trains I’ll like to catch. Wrote on 2 seperate pieces of paper for the trains I want. 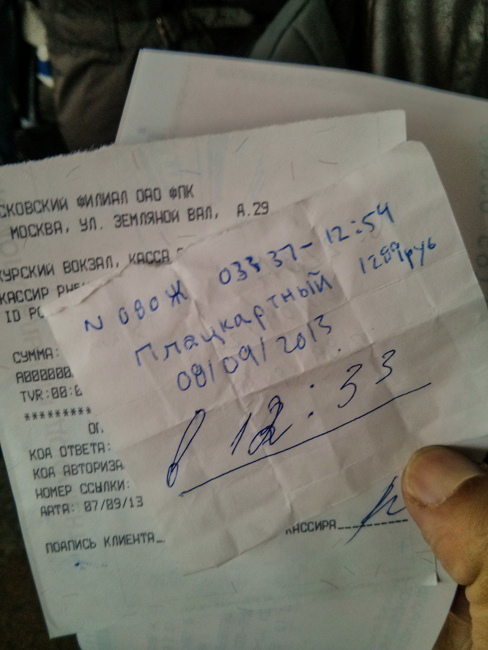 Handed in the 1st piece, for the 1st choice, a cheap overnight seat ticket to the St.Petersburg. And have the 2nd piece of paper, a backup for my second choice. That way, hopefully less confusion, two different trains request might confuse them. I am so surprised no one seems to speak English even in Moscow. Somehow, even as prepared as I could be, she sold me a ticket that is about to leave within the hour. I didn’t not pack my things yet, still at the hostel that is 10 mins walk away. I might be able to make it if I skip lunch for the day, go pack, and rush back for the train. The thing is, it feels like a waste of the day with a 9 hours train toward St.Pete, arriving 9:45 tonight. Although I wrote down the train number, I realized after that she assume it’s a day train for today, and couldnt find it. So she sold me the next available train instead. She didn’t search for the train for early morning tomorrow. Funny thing is, I even wrote down the militrary time. Hope I am right, cause I’m lining up to refund and exchange the ticket, its a long wait. For sure I won’t be able to make the train in less than 15mins from now. Moscow hasn’t been kind the last 2 days, it’s been raining so much and too cold for my liking. Throughout this trip, I’ve been going where summer is, avoiding and running away from winter. The last 2 days has really pushed the amount of warm clothes I can put on, almost wearing all the clothes on me while going out.